A week ago, on 17 November 2013, ethnic Serbs in the northern part of Kosovo went to the polls – just another time. 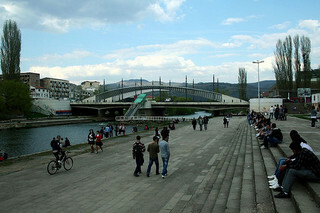 The first attempt, two weeks earlier, to organize local elections were marked by violence in Mitrovica and consequently were suspended and annulled there. Tear gas and smashed ballot boxes showed the dismay of some of the approx. 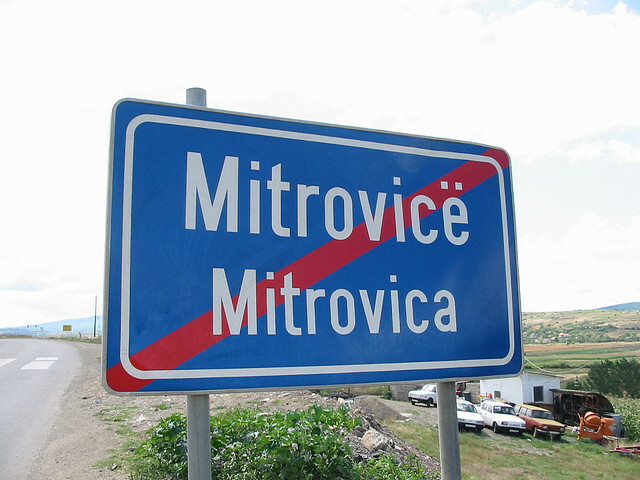 40,000 ethnic Serbs in northern Kosovo. These municipal elections became necessary because of the landmark deal between Kosovo and Serbia under the auspices of the EU in April 2013. Serbia agreed to the deal because membership talks to join the union were guaranteed by that and eventually the county can join the “European club”. Because of pressure of the European Union, Belgrade was trying hard to convince the ethnic Serbs in the territory, some 95% of the population, to vote, or as the BBC reported, almost tried to force them to cast their ballot at the second attempt in three polling stations in Mitrovica. The 120,000 ethnic Serbs in Kosovo, however, have not been happy at all about this policy change in Belgrade. Serbian hardliners in northern Kosovo continued to call for a boycott of the elections. At the same time they had not too much of a choice because many of them depend on financial support. Importantly, the second attempt was peaceful and no incidents were reported which was also due to the increased security from EU policemen (EULEX) and NATO peacekeepers (KFOR). Unfortunately, the second attempt had an extremely low participation of 22%. On 1 December 2013, a run-off will be necessary because no candidate was able to make the 50% hurdle. In general terms, Belgrade continues playing a double game. Addressing his own people, Serbian Prime Minister Ivica Dacic tries to remain a hardliner to satisfy his voters. Serbia “never gives its consent for Kosovo’s membership in the United Nations” he reportedly said according to B92, a very pro-government Serbian news portal. As Kosovo prepares itself to join the first UN agencies in the first half of 2014, Belgrade wants to show its muscles. And yet, Dacic also adds that Kosovo cannot do so without negotiations and agreement with Belgrade. That is just fair enough that such moves should be discussed at the negotiation table, as long as Serbia is able to show flexibility. In 2012, (former) radical nationalists came to power in Serbia. But as I argued last year, this also proved helpful because the pro-European parties in Serbia would have never been able to come as far as the nationalist parties are at the moment on the issue of Kosovo and European integration. Under the terms of the EU-mediated agreement, Belgrade has to dismantle the parallel systems in northern Kosovo that deliver a range of services from healthcare to education in return for greater autonomy for ethnic Serbs across Kosovo. Although the participation of ethnic Serbs in northern Kosovo was very low, it is yet an indicator that this region is not going to break apart from Kosovo. This newly formed country, through its unilaterally declared independence in 2008, will be accepted in the long-run also by (right-wing) politicians in Belgrade, as already 106 countries have done so. Ultimately, an independent Kosovo is the only way forward also for Serbia and the wider region and will lead all of them into the EU and a common European future. That will be very much necessary to help overcoming the homegrown problems of corruption, organized crime and inefficiencies. Thank you for showing us all, I think this site really is different: Deborah.